Is the ‘Flu a Fairy Tale? Not totally because influenza as such does actually exist and the viruses which are sometimes named in this context do play a role in ‘flu. The fairy tale lies in the fact that we are told that the viruses are the cause of the ‘flu and that, without pharmaceutical medicine, we would be completely helpless against them. That something may be generally believed is not proof that it is true. Just take a look in the history books and see how long it was believed across the entire globe that the Earth is flat. The fairy tale about influenza and other so called “infectious diseases” has its roots in the 19th century. At that time, the way to international fame, fortune and power was to discover the cause of the many illness which plagued humanity at that time. 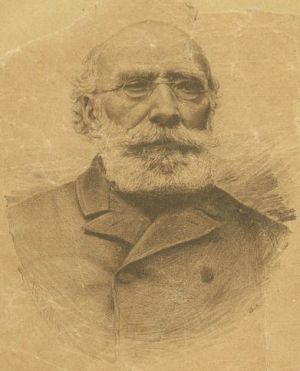 Pierre Jacques Antoine Béchamp (1816 – 1908) had, probably, made this discovery but it was to be more than a century before his thesis would be proven. In the meantime, the two charlatans, Robert Koch and Louis Pasteur with their lies, deceits and political contacts pocketed for themselves the fame and wealth that belonged to Béchamp. Although Prof. Béchamp made it perfectly plain to Pasteur that his postulate of infectious disease could never hold water and colleagues of Robert Koch demonstrated before him on their own bodies that the postulate is ridiculous, these two had firmly decided for fame and fortune instead of integrity, dignity and honesty. It is upon their machinations that the ‘flu fairy tale has been built! © 2012-2013 Karma Singh, published by Harmony Energy Consultants Ltd.